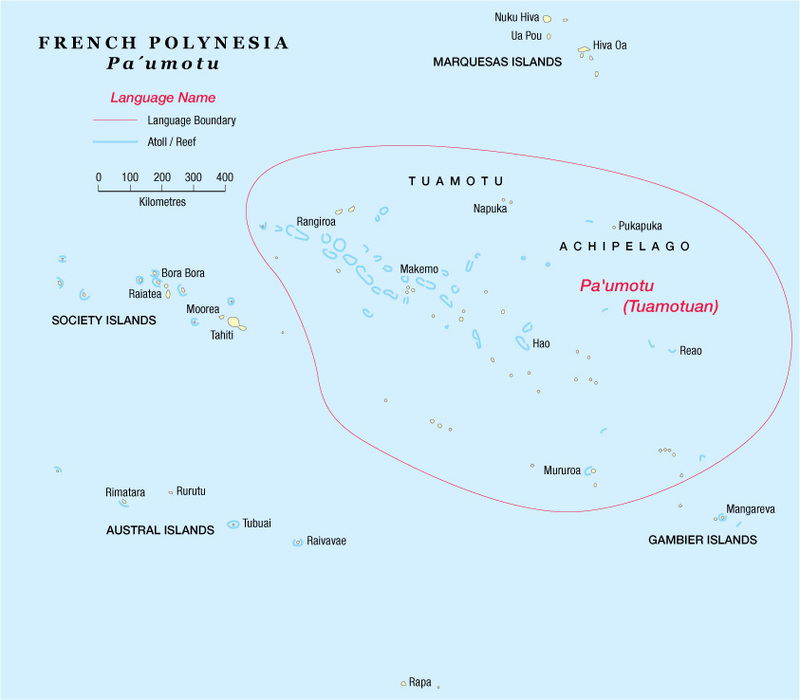 The Pa’umotu language is spoken in the Tuamotu islands (population c. 15,000), an archipelago of about 80 atolls in the center of French Polynesia, north and east of Tahiti. 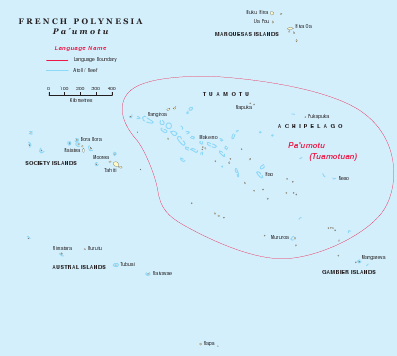 The language is closely related to Tahitian. The language has seven dialects, and there are also small differences in language between each atoll. Yet there is a “common Pa’umotu” language, which is the basis for the translation. The community is predominantly Roman-Catholic. Until now, church services and Bible readings are mainly done in Tahitian. In 2005 the cultural association “Te Reo o te Tuāmotu” (the language of the Tuāmotu) started working with translation advisor Paulus Kieviet on the translation of the Gospels. A large group of contributors drafted chapters of the translation on the basis of the Tahitian Bible. These chapters were then corrected and revised by the translation committee, a process which was finished end of 2010. This translation will be presented to the community, with the idea of making the translation known and generating feedback. The next stage is the translation of the Psalms. Paulus Kieviet visited the Pa'umotu translation team on Tahiti to work on the translation of the Psalms and to train them in Paratext.